Visual Studio Code>Themes>Atomized ThemeNew to Visual Studio Code? Get it now. 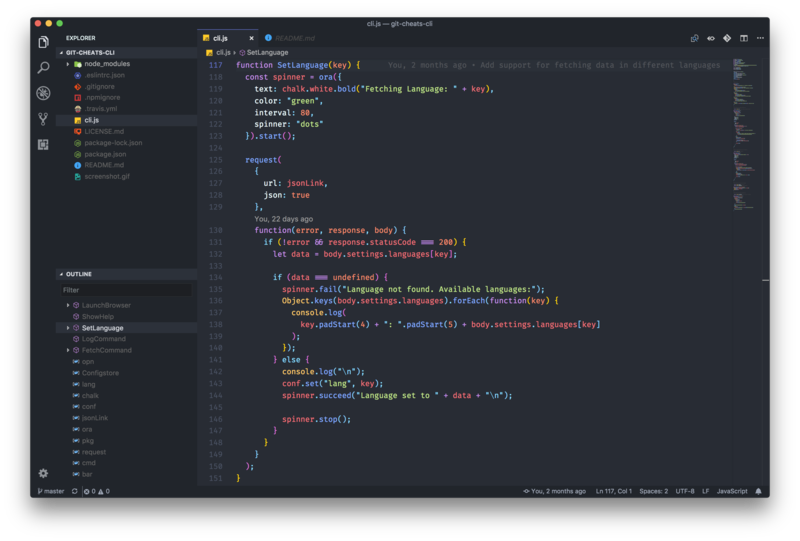 A combination of both Atom's iconic theme and Material Theme. Atomized Theme is a combination of both Atom's iconic theme and Material Theme's syntax highlighting. A relief for sore eyes! Bookmarks - Helps you to navigate through your code, moving between important positions easily and quickly. GitLens - Visualizes valuable git related information within your code. Bracket Pair Colorizer - Shows matching brackets to be identified with their own colours. Can also show matching pair in gutter which is nice. Trailing Spaces - Shows all trailing spaces in a nice way. Also has an option to trim only modified lines, so you won't have any headache with merge conflicts.